The crisis at Real Madrid has led to recent talks of the need for the managerial change. The Blancos have been a pale shadow of the side they were last season, having fallen behind in all competitions this season. The Spanish giants were beaten back-to-back at the Bernabeu by rivals Barcelona, ending their La Liga and Copa del Rey hopes. It went from bad to worse in midweek when Santiago Solari’s men threw away a 1-2 first-leg advantage to lose 4-1 at home against Ajax in the last 16 of the UEFA Champions League. In all the crisis, one man whose name has been constantly mentioned is Jose Mourinho. The Portuguese is rumored to be close to a move back to the Santiago Bernabeu. 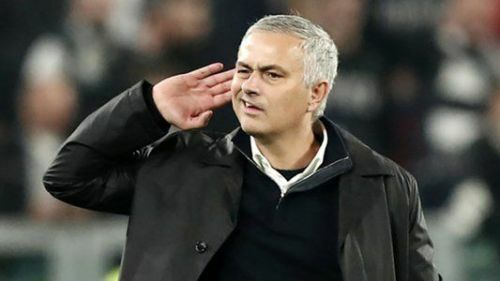 Numerous reports circulating in Spain suggest Mourinho could be returning to Real Madrid to replace current boss Solari. It is believed that club president Florentino Perez is a huge fan of the former Manchester United manager, and wants him to oversee the overhaul needed at Madrid. Mourinho previously managed Madrid from 2010 to 2013, in a stint which saw him win every domestic trophy. The 58-year-old won La Liga, Copa del Rey and the Super Cup, before leaving the club under acrimonious circumstances after falling out with a number of his players. However, Mourinho himself has indicated that he would not rule out a return to the Bernabeu. "To a club that I have been before? If I think the right club, the right structure, the right ambitions, I will have no problem at all. "I think it's really a reason of pride when a club where you worked before wanting you back. They [Madrid] are the iconic club, I think so, you know, [they have won] 13 Champions Leagues [titles]." Worst week ever for Real Madrid would be confirmed by hiring Mourinho tonight.